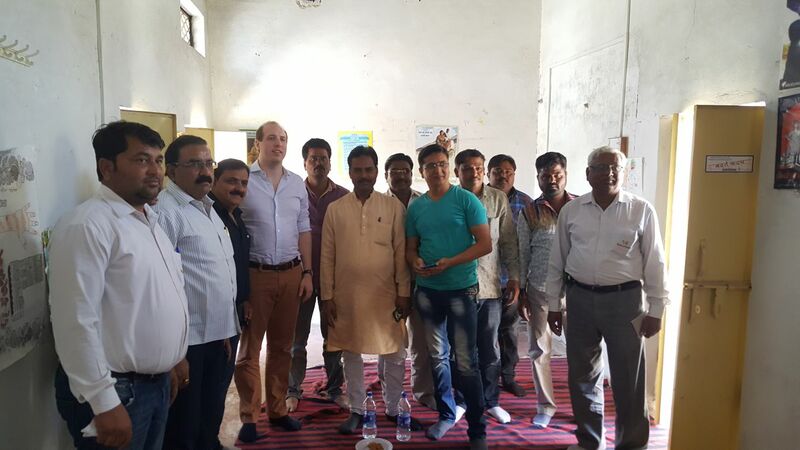 Last week Steven and I visited the No Child Left Behind project in Budhpura with the intention of boosting interaction between Manjari and the business community. We had mapped more clearly the yards where our suppliers are sourcing the cobbles from and hope to improve the working conditions at these yards over time. While I was there I had a shocking reality check: I saw three teenagers working on cobbles in a yard adjacent to the main road…out in the open. The yard had a sign in front of it declaring it as a Child Labour Free Zone. It was obviously not! I went closer and when they noticed me the boys ran away. So I talked to the adults asking why the children were there. They replied that schools were closed because of holidays and kids were “simply” surpassing time. They claimed that they were not working regularly…I explained that any form of labour at their age is unacceptable and that children should be playing, not working, when schools are closed. Later that day I met with the cobble traders union and told them about the incident. They were shocked too because they have a penalty system in place for member yards that are caught on having children working on stone. Apparently, this particular yard was already penalised twice… since I now know fully which yards we are sourcing from, I was relieved to see that the yard was not part of our supply chain but nonetheless…it was disappointing to see it happening after all we’ve done. 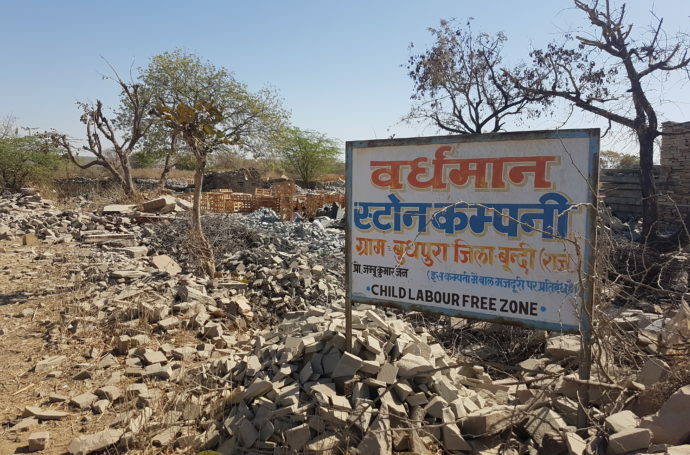 Now we can penalise and police all we want but if we don’t address the root causes then we will only push away the child labour from our sight, into potentially more hazardous areas such as quarries. Why are these teenagers working when school is closed? Part of the reason is simply because they are bored…in Europe, teenagers would hangout with their friends in malls, go to the movies or do some sport activity. None of that is available in a forgotten place like Budhpura. The cobble traders union agreed to discuss with the local mayor to invest in more of these recreational activities along with the support of Manjari. 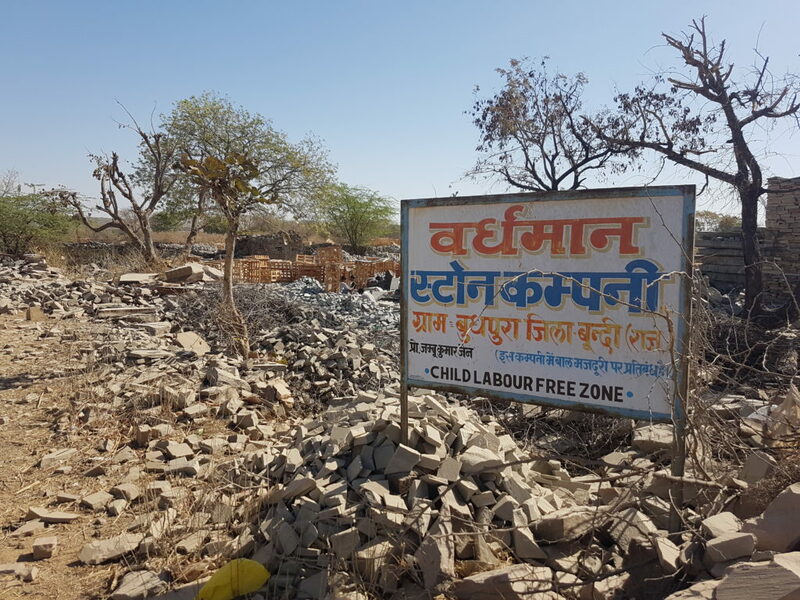 Steven and myself have always believed in the community approach that Manjari is taking and despite setbacks like these today, we do feel a change taking place in Budhpura. For starters, the children knew they were not supposed to be there since they ran away as soon as they saw me. But equally the action from the union against their own members is necessary to make an example. We knew the situation in Budhpura was not perfect yet but my disappointing experience today also proved to be a catalysis for the discussions I had later that day with the business community. Change has come to Budhpura and we will keep on fighting to keep it there.